All day long we face a multitude of problems. In organizations throughout New Jersey, it is safe to say we usually never escape the work day problem free. We are almost in constant problem solving mode helping teams with both issues and strategy. Across leadership training today, there are numerous categories involving management and teamwork. But there is a lack of research and often little training offered in the important area of problem solving. Common sense processes, centered on solutions, can help with both assessment and resolution. Organizational history, background, and the actual situation are the three categories of focus before any problem can be assessed and resolved. Knowing the organizational history and background is important. Getting the big picture first is a great start. Coupled with the situation, this blend of information helps with finding a solution that will work. Just like with a math problem, business problems have to be reviewed with both constants and variables defined. As with any problem, how important is it to solve? Is it trivial or is it organization changing? What is the best or worst case scenario? What are the steps needed? Rushed solutions can create additional problems. Not knowing what to do can make the issue even more complicated. 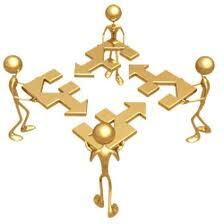 Problem solving can be a team sport and it is okay to involve others. Problem solving is a process that is definable and measureable. There is probably no better situation for opportunities, learning, and improvement than in the area of problem solving. One thing is certain; it takes time and it takes attention to improve problem solving skills. Assess every issue professionally not personally. Accept both commentary and criticism when gathering facts, and use them to solve the issue. Good leaders are even better problem solvers.